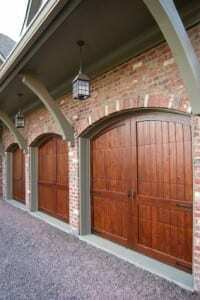 Many homeowners treat their garage doors as a mere afterthought, and that is a shame. The garage door is many things – a security barrier to keep burglars at bay, a fashion statement to enhance the property’s curb appeal and a practical addition to the home. That means the garage door needs to pull triple duty for your home. In order to be secure, the garage door must be constructed of top quality materials and built to withstand even the most determined bad guy. To enhance curb appeal, the garage door needs to blend seamlessly with the rest of the exterior and look like an integral part of the home – not something that was added on later. Read more at Homeclick Community.